· National TV, print advertising (Disney Adventures, GamePro Magazine). · Over 25 million action figures sold globally toys available in U.S. and Canada through Bandai. · Home video distributed in the U.S. through ADV. 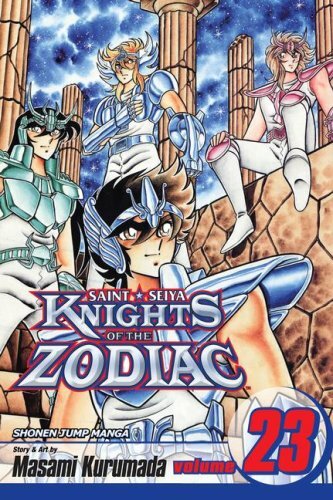 The series begins with the story of Seiya, the main hero, who is one of Athena's Knights. Seiya, along with the other Bronze Knights, must train hard to earn their "Cloths," and take on other challenges as well. The ultimate battle of knight against knight! Deep in the underworld, the Bronze Knights face the minions of Hades head-on. On the River Acheron, they must bargain with the treacherous ferryman, Charon. In the Hall of Judgment, their souls are weighed by the Specter René. And in the prisons beyond, they face the three-headed dog Cerberus and the Specter Pharaoh. But still more horrors await them in the endless dungeons of the underworld. Why has Orpheus, the legendary Silver Knight who vanished off the face of the earth, reappeared as a loyal servant of Hades? And what part will the Bronze Knights play in the schemes of Lady Pandora? Only the power of the eighth sense can guide Seiya and his friends through the realms of ultimate darkness!